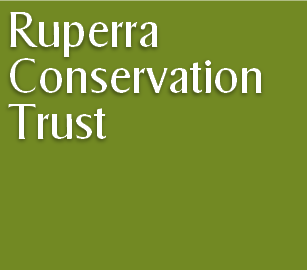 All material on this site is copyright Ruperra Conservation Trust unless otherwise stated. Please click here for full Terms and Conditions and details about Accuracy of Material presented on this site. 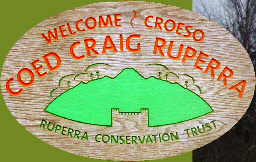 Coed Craig Ruperra is owned by Ruperra Conservation Trust, a registered charity based near Caerphilly, in South Wales. Our aim is to conserve and restore the biodiversity and built heritage of Coed Craig Ruperra, which was bought by the Trust in 2000. Ruperra Conservation Trust is made up of ten trustees and about 250 members, all of whom pay an annual subscription to help support the ongoing woodland work. 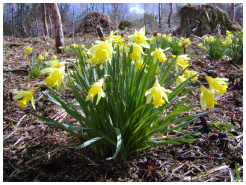 The Trust was formed in 1996, and after purchasing the woodland, we were successful in bids for Heritage Lottery Fund and other grants which allowed us to begin the major task of conserving and restoring both the native woodland and the Scheduled Ancient Monument, an Iron Age hill fort, which surmounts the ridge. The woodland lies in a Special Landscape Area, and for a long time formed part of the estate of Ruperra Castle, which lies to the south. It has had a long history of occupation and use by man, and as such it has interest both for wildlife enthusiasts and those interested in history. Welcome to Coed Craig Ruperra! 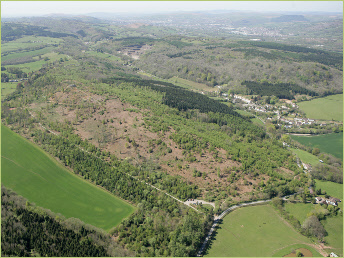 A fantastic, recovering broadleaved woodland of 153 acres, Coed Craig Ruperra is close to the villages of Draethen and Rudry in a triangle between Caerphilly, Newport and Cardiff. Until the mid-1990s, it was covered in conifers and was a dark and unwelcoming place. Now, after clear-felling, and with massive amounts of work since 2000 from volunteers and many other supporters, it is fast becoming one of the most interesting places in the area to enjoy a walk, take in the panoramic views, and appreciate the recovering wildlife. place during the next 70 years or so, until the site was sold to the Trust and broadleaf restoration began. There’s more information about this on the following pages. During the 400 or so years of ownership by the Lords Tredegar of Ruperra Castle, much of the woodland was used as an extension of the estate gardens, with exotic plantings particularly on the southern side. Some of these are still visible in the shape of large specimen conifers, but most particularly in the Cherry Laurel and Rhododendron which have unfortunately proved only too successful and now infest much of the Hill Fort area. Eradicating these two problem plants, which create dense shade and exclude native plants wherever they spread, is a major challenge involving a great deal of work for the Trust. The Trust’s volunteer group meets at least twice a month to undertake various maintenance tasks, from clearing scrub to creating paths. A friendly and welcoming team, they vary in age and ability and there’s a task to suit everyone! The woodland is open all year round, with a small car parking area on the Draethen-Michaelston road (see location map). Walkers and horse-riders will find many interesting paths available, with a choice of steep climbs or a gentler approach leading to the summit, from where you can enjoy the views from the Motte which surmounts the hill fort. Well-behaved dogs are welcome, though we would ask that you keep them out of our wildlife ponds to avoid disturbance! We are happy to take guided walks around the site if you wish to arrange a group visit, and we particularly encourage people to get involved in our work by joining our volunteer group (see Volunteering) or by supporting us as members (see More Info for details). For details of upcoming events, including walks, see the News and Events page. Our sales weekend will be on April 13th–14th but you can buy our lovely native hazel beanpoles, pea sticks, plant stakes etc now by phoning or emailing - our contact details are above. Our thanks to players of the People's Postcode Lottery for giving us a hedge laying grant—more on this on the News and Events page.